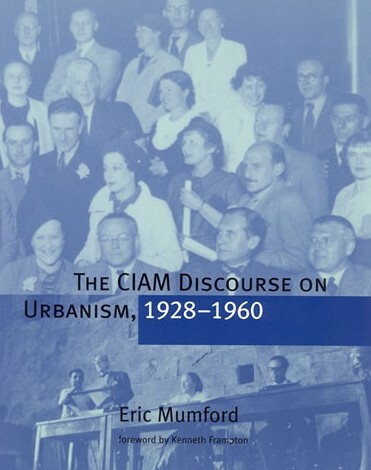 It has already been shown that much of the CIAM approach to urbanism was derived from earlier planning concepts, Eric Mumford’s intent was to instead trace the development of CIAMs urbanistic discourse. The main focus of the CIAM was to create an Avante-Garde within the newly emerging anti-traditionalist architecture of the early twentieth century. Instead of simply accepting or rejecting CIAMs polemics, Eric Mumford reveals how CIAM defined new and perhaps overly ambitious socially transformative roles for architects and architecture, by combining certain design strategies with a passionately held conviction that architecture should serve the many and not the few. 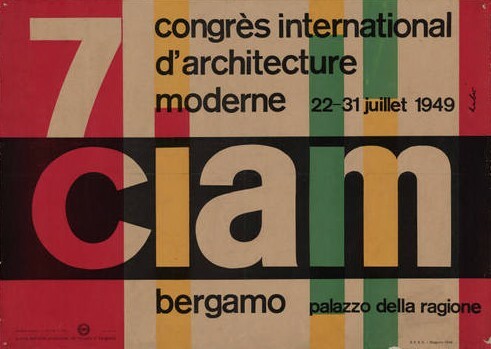 The first CIAM Congress was the result of efforts from several directions, most significantly including the international campaign in favor of Le Corbusier’s League of Nations design, and the Weissenhof meetings, involving members of the Berlin Ring and the Swiss Werkbund in 1927. From its inception, CIAM was conceived as an instrument of propaganda to advance the cause of the new architecture that was developing in Europe in the 1920’s. The congress concluded that the future, whether as capitalist or a communist technocracy, was to be organized from above along the lines thought to be best for the general welfare of industrial societies everywhere. The intent throughout Frankfurt was to demonstrate the use of assembly-line methods for socialist (or at least social democratic) ends. In the midst of this, the proposed second CIAM Congress was given the theme “the Minimum Subsistence Dwelling" the focus being on design solutions to the problem of high rents for low wage earners. The organs of CIAM were defined as the “Congress” itself, the “General Assembly” that would meet every year or two, as called together by the president; and the CIRPAC, which had been proposed by Le Corbusier and created at La Sarraz. The CIRPAC members were to be called “Delegates,” with at least one from each CIAM national group. The CIRPAC was to plan each Congress and to carry out the decisions of the congress, though the later proved to be difficult. The Functional City 1931 - 1939 - This was the most significant theoretical approach of CIAM, and began to dominate its discourse immediately following the Brussels Congress. The underlying concept was a simple one, Cornelius van Easteren asserted that “districts for the masses, with their high population densities, suffer the consequences of incorrect development.” He declared that the “many disadvantages” of these districts based on the mediaeval “block form of street walls and lot lines, were unnecessary.” The CIAM “Die Wohung fur das Existenzminimum” had demonstrated the fundamental importance of favorable solar orientation in low - cost apartments with their “intensely used rooms.” Consequently arguing that the best position for sunlight for a particular housing type should ensure the “direction of the whole apartment series.” He concluded that what are needed are not axial city plans, but new national development methods that could be extended to the planning of entire cities. Le Corbusier gave an address containing the most concise statement of his position on the idea of the Functional City. As he saw it, CIAM's task was to create forms, human truths and certainties, and to establish a prism to judge them. He insisted on the fundamental principle that urbanism was a three-dimensional science, and stressed that height was an important one of those dimensions. Through the bodily movement the three dimensions imply the notion of time, and our lives are regulated by the “solar regime” of twenty-four hours and the year, which “commands distances and heights.” The urbanist, he continued, must choose between two tendencies, to extend or to contract the city. If the latter was chosen, concrete and steel must be used to preserve the “essential joys” of the sky, trees and light. He emphasized that CIAMs judgements must be “Dwelling,” the first of a hierarchy of four functions; Dwelling, Work, Leisure and Circulation. While the Garden City pattern satisfies the individual, he argued that it loses the advantages of collective organization. The Concentrated City, favored with modern techniques, assures the liberty of the individual within the housing fabric and organizes the collective life in relation to recreation. After 1933 CIAM began to define itself as an international “building movement” with its own ideology of the Functional City. Rejected by both National and Socialism in Germany and Stalinism in the Soviet Union, the ideology was available to any modernizing “Authority” willing to risk its application. Conditions for CIAM had changed dramatically for the worse since the first La Sarraz meeting eight years previously. National socialism had ended most of the new architectural directions in Germany, Le Corbusier had not been able to see his urbanistic ideas adapted in France, and the members who had gone to the Soviet Union in 1930 to apply CIAM methods there, were beginning to leave. The program for CIAM 5 consisted of three talks, by Le Corbusier, on “Theoretical Solutions,” Sert, on “Application Case: Cities” and Szymon Syrkus, on “Application Case: Rural Areas.” The twenty other “Interventions and communications” at CIAM 5 were a mixture of reports by CIAM members and national groups, syndicalist friends of Le Corbusier, and other French political and intellectual figures. MARs (Modern Architectural Research) after 1945 was a very different group than its prewar namesake. No longer a small Avante-Garde group, it had become a large club like institution with many prominent members well within the new mainstream of British Architecture and Town Planning. It was felt that MARs should not be primarily concerned with publicizing the principles of the ‘Athens Charter,‘ but should instead move on to examine “the impact of contemporary conditions upon architectural expression. This was proposed as a possible theme for the first congress to be held after the war. In contrast to the ambitious hopes for CIAM expressed at Bridgewater, the Bargamo Congress revealed that CIAM was not going to regain its prewar elan as an avante-garde organization, owing to internal conflicts within. Of the talks presented at CIAM 8, the most significant was Serts opening talk entitled “the Theme of the Congress: The Core.” He argued that in developing countries, the cores could be places where new technologies such as television screens would soon be available, and this could “put these people in immediate contact with the world.” People without access to radios could “listen to the old speaker on the public square,” and “could see the images on the television screen,” which would enhance the importance of these places. They acknowledged that the Athens Charter was of great historical importance, but also stated, “it is clear that the contents of charter are no longer instruments for creative development.” Nor did they find the titles of the permanent commissions “relevant to the problem with which we are concerned.” rather than these “analytic” categories, the group proposed new “synthetic” categories, based on the terminology of Patrick Geddes’s Valley Section. The final CIAM meeting was held in September of 1959 in Otterlo where it was announced the name CIAM would longer be used. No further meetings where ever held or publications ever issued, however due to the lack of clarity concerning CIAM's fate it is quite difficult to say precisely where CIAM ends and Team 10 (officially formed in 1945) begins. By researching and reviewing not just the congress meetings themselves, but also the preparatory meetings, Eric Mumford affords us a greater understanding of the groups complexities. The CIAM delegates were often working in ever changing political environments and came from vastly contrasting cultural backgrounds. Despite a large number of highly successful collaborations between delegates from varying national groups, it often proved difficult focusing their collective efforts towards a single goal. This was further hindered, on numerous occasions, by individual members attempting to steer the CIAM to suit their own agenda. Although highly influential, the majority of CIAM's proposals remain unrealised or incomplete and a number of publications based on their collaborative works failed to even materialise. Whilst highly successful in its formative and early years, the CIAM seemingly lost its focus in later years and became impeded by bureaucracy, culminating in the disintegration of CIAM. Is Rome a Modern City?